WAUCEDAH — Georgia E. Brodersen, 90, of Waucedah, passed away on Wednesday, April 10, 2019, at Pinecrest Medical Care Facility in Powers. Georgia was born on June 18, 1928, in Norway, daughter of the late Carl and Anne “Mamie” (Henry) Blackberg. 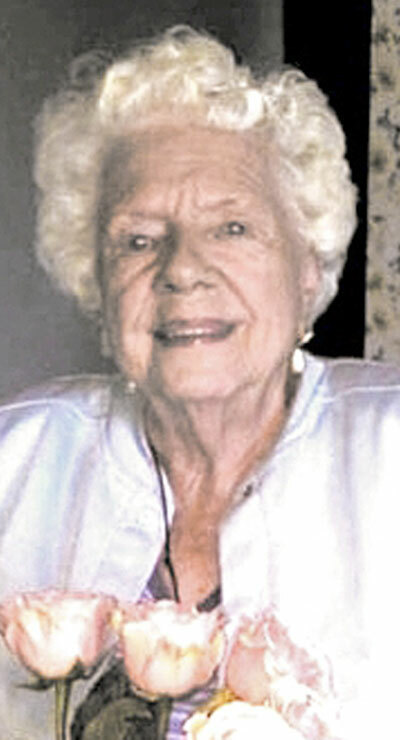 She was a lifelong resident of the Norway area and a 1946 graduate of Norway High School. She married Chris Brodersen on June 28, 1947, in Norway at the Swedish Methodist Church. She and Chris were married for 62 years before he passed away in 2009. Georgia had a strong Christian faith and was active in her church. She was a member of the Christian Women’s Club. Georgia was also well known in the area as the manager and salesperson for Tupperware. She was an wonderful homemaker who loved gardening, canning and baking. She also loved to pick berries. In addition to her parents and husband, Georgia was preceded in death by her sons, John and Jim Brodersen; her brother, Aver Blackberg; and sisters, Pearl Lobello, Beatrice Deaton and Lucille Money. She is survived by her sons, David Brodersen of Roscommon, and Daniel (Cathy) Brodersen of Waucedah; daughter-in-law, Janet Brodersen of Marquette; sister, Gloria (Lyle) Hulce of Vulcan; grandchildren, Megan, Danielle (James), Eric (Gemma), Jonathon, Joshua (Katie), Abigail and Elizabeth; five great-grandchildren. Visitation will be 10 a.m. to noon Tuesday, April 16 at the Evangelical Covenant Church in Norway. Funeral services will follow at noon at the church. Rev. James Danielson will officiate. Burial will be in the Quinnesec Cemetery. Condolences to the family of Georgia Brodersen may be expressed online at www.ernashfuneralhomes.com.